Over the weekend I was looking at the Google Analytics for FreeTech4Teachers.com and noticed that last week one of the most frequently searched terms that directed people to this blog is "bibliography generators." I took that as a clue that more than a few people are interested in that topic. To that end, here are the tools that I frequently recommend for creating bibliographies. As with any tool that automates a process, teach your students to check the accuracy of the citations created by any of these tools. For Google Docs users the EasyBib Bibliography Creator is my go-to tool for creating bibliographies. The EasyBib Bibliography Creator makes it easy to properly cite resources and format a bibliography in APA, MLA, or Chicago style. Click here for directions for the process of using this add-on. 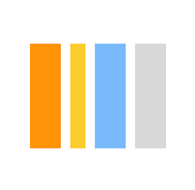 RefMe is currently my favorite tool for creating bibliographies outside of the Google Docs environment. RefMe offers browser extensions, a free Android, and a free iPad app for saving resources and generating bibliographies from your collection of resources. Watch my video embedded below to learn more about how to use RefMe in your web browser.